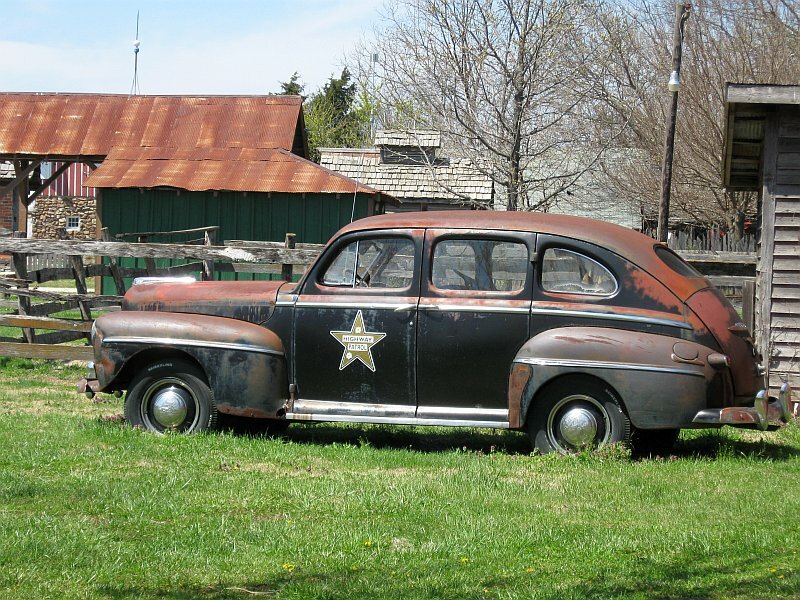 Lowell Davis recreates his childhood hometown on his farm | Best Road Trip Ever! The sculptures of Lowell Davis are a slight detour from the route, but worth a visit. 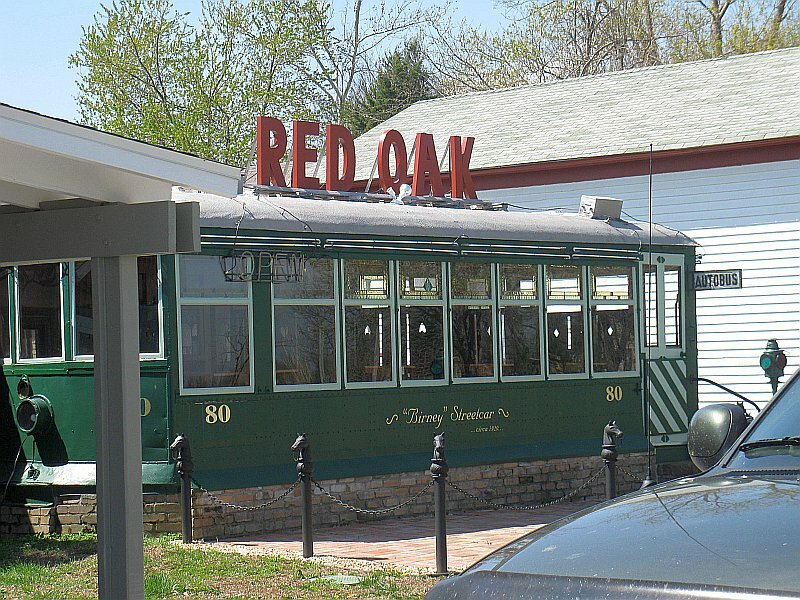 Lowell is paying homage to the 1930s by recreating his small hometown of Red Oak, including the actual homes and businesses, and moved them to his Fox Fire Farm near Carthage, Missouri and restoring them to their original grandeur – a place now known as Red Oak II. In 1987, Red Oak II was just a cornfield, but to Lowell, it was a blank canvas. A visit to Red Oak II is a visit to the past. 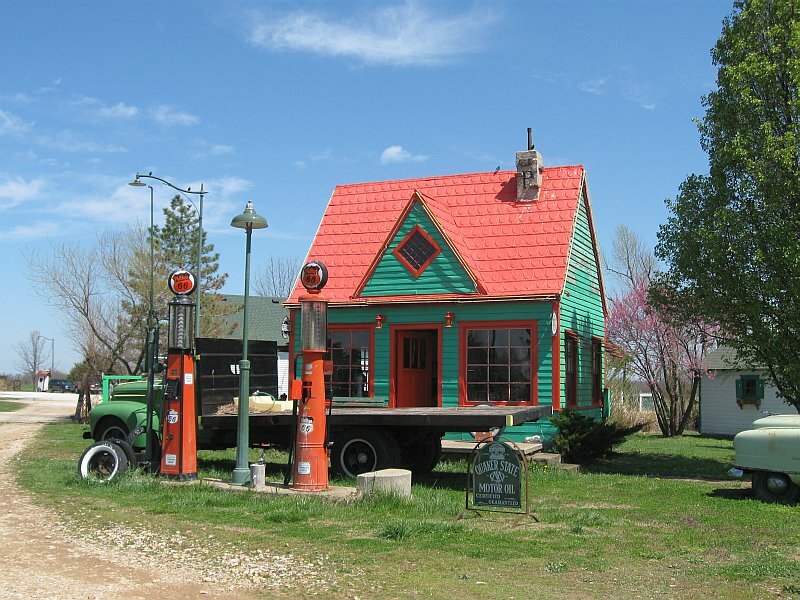 You’ll see the Blacksmith Shop, where Lowell’s great-grandfather practiced his trade, the Feed and Seed Store, the Old Phillip’s 66 Station which was originally located on old Route 66 near Red Oak and the General Store which was run by Lowell’s father and was where Lowell learned to sculpt and paint. You can also see his handiwork in the metal signs all around Carthage.